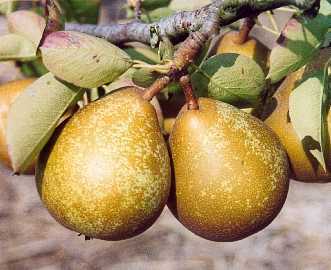 An improved and partially self-fertile sport of Fertility pear. Improved Fertility is an improved sport of Fertility found at Seabrooks Nursery. Unlike the parent which is a diploid and self-sterile Improved Fertility is a tetraploid and partially self-fertile.